MILWAUKEE -- Sheriff's officials say a man suspected of stealing firearms from a gun store and sending President Donald Trump an anti-government manifesto has been arrested in southwestern Wisconsin. The Rock County Sheriff's Office says 32-year-old Joseph Jakubowski was captured around 6 a.m. Friday near Readstown, Wisconsin. The sheriff's office said in a statement that he was captured without incident. Readstown is 160 miles (260 kilometers) west of Milwaukee. 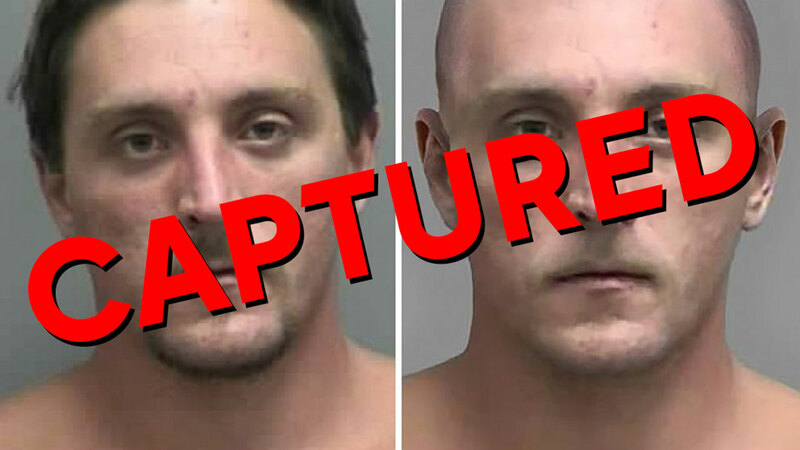 More than 150 law enforcement officials had been searching for Jakubowski since April 4 when authorities say he broke into a gun store in Janesville, about 70 miles (110 kilometers) southwest of Milwaukee. The Rock County Sheriff's Office says Jakubowski wrote a 161-page manifesto in which he detailed a long list of grievances against the government and spoke of plans to launch attacks with the 18 firearms he allegedly stole.